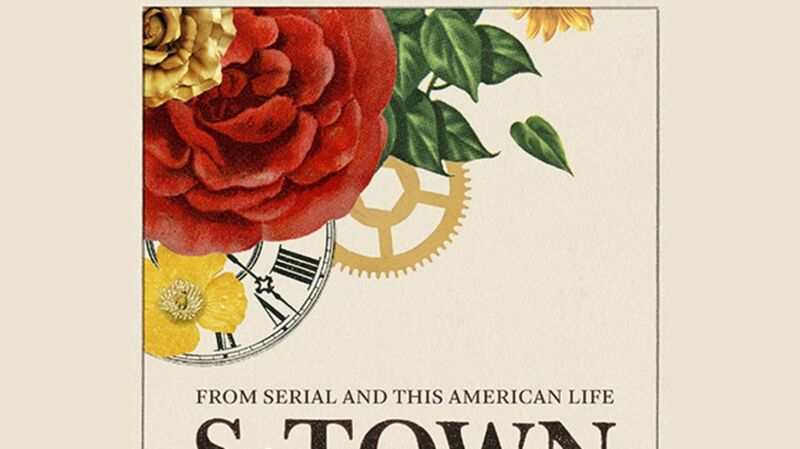 Murder mystery podcast S-Town has been breaking download records and electrifying social media since its March 28 release. If you're one of the listeners responsible for the show's 10 million downloads, you may know just as much about the rural county where the story takes place as you do about what really happened in S-town. To satisfy your curiosity, here are nine facts about Bibb County, Alabama. 1. IT WAS NAMED FOR ALABAMA’S FIRST GOVERNOR. Originally called Cahawba County, after the river that runs through it, Bibb County was renamed to honor the first governor of Alabama, William Wyatt Bibb. Virginia-born Bibb started out as a doctor and then entered politics in Georgia, serving in their state legislature. He went on to represent the Peach State in the U.S. House of Representatives and the Senate. In 1817, President James Monroe appointed Bibb governor of the newly created territory of Alabama. When that territory became a state in 1819, Bibb was elected its first governor. He died in office during his first term, succumbing to internal injuries in 1820 after being thrown from his horse. Five months after his death, state legislators renamed Cahawba County in his honor. 2. RICH NATURAL RESOURCES ONCE MADE IT A HUB FOR CONFEDERATE IRONMAKING. The area that would become Bibb County was previously inhabited by the Muscogee group of indigenous peoples, who were steadily displaced in the early 19th century. White settlers began moving to the area—which was densely forested with pine and oak trees and rich in natural recourses like ore, coal, and clay—around 1815, four years before Alabama became a state. Most 19th-century residents of Bibb County made their living through farming, with crops including food products like rye, corn, and wheat—but the dominant crop was cotton, and by mid-century, nearly half the county’s population consisted of slaves. The area’s other principal industry was iron production, and during the Civil War, the Bibb County Iron Company produced cannons, plate armor for ironclad ships, and other military products for the Confederate war effort at their Brierfield Furnace facility. In 1863, the Confederate government purchased the ironworks, making Bibb County home to the only iron production facility owned by the Confederacy. Union cavalry troops wrecked the ironworks in 1865, setting the buildings and equipment on fire. A former Confederate officer attempted to rehabilitate the facility after the war, and the ironworks operated intermittently until 1894, then lay abandoned until it was turned into a state park in 1978. Modern-day visitors to the Brierfield Ironworks Historical State Park can see the historical brick furnace, coke ovens, remains of the wrought iron rolling mill, and other remnants of 19th century iron production. The park also features hiking trails, cabins, and camping, is a popular site for bird watching, and offers a quirky setting for weddings. 3. IT’S A RURAL, PRIMARILY WHITE COUNTY. Today, Bibb County covers 625 square miles of central Alabama and is home to about 22,600 people. Around 75 percent of Bibb’s residents are white, while African-Americans make up about 22 percent of the population. The largest city in Bibb County is Brent, with about 4900 inhabitants, followed by the county seat, Centreville, with about 2700 residents. Within a 75-mile radius of this rural county lie the metropolises of Birmingham, Tuscaloosa, and Montgomery. 4. THE BIGGEST INDUSTRY IS MANUFACTURING. Lumber was the primary industry in Bibb County at the beginning of the 20th century. Today, the largest portion of workers in the county—around 20 percent, according to the 2015 American Community Survey—work in manufacturing. And that number may soon increase, since the German company MöllerTech announced a plan in October 2016 to build a plant in Bibb County near the town of Woodstock. The plant for MöllerTech, a Mercedes-Benz supplier, will manufacture interior parts for the brand’s next-generation SUVs, employing about 220 local residents. Other common jobs in Bibb County include work in health care, education, construction, and retail. About 80 percent of the county’s residents graduate from high school, while a significant 22 percent live below the poverty line, according to the Census Bureau. 5. OFFICIALS HAVE FORBIDDEN THE SALE OF ALCOHOL THERE FOR OVER A CENTURY. Bibb County first banned the sale of alcohol in 1881 and has been dry ever since. The Baptist church became a strong prohibitionist force in Alabama following the Civil War, and Christian leaders remain at the forefront of the fight to keep parts of the state dry to this day. In 1915, the entire state of Alabama outlawed the sale and manufacture of alcohol—or any liquid that “tastes like, foams like, or looks like beer.” A 1935 change in the law left it up to individual counties to choose to be wet or dry. Though Bibb has voted on the matter many times—holding referenda in 1974, 1979, and 1984 on whether to begin allowing alcohol—the county continues to ban the manufacture and sale of intoxicating beverages within its limits—with a few exceptions. Beginning in 1984, Alabama cities inside dry counties could choose to sanction alcohol by vote, and in 2010, the town of Brent went wet. That same year, a contested wet/dry referendum in the town of Centreville necessitated a court hearing, after which 37 absentee ballots were thrown out, with a recount pushing “wet” over the top by just 8 votes. 6. IT’S THE LOCATION OF A MEDIUM-SECURITY STATE PRISON. The Bibb County Correctional Facility, which opened in 1998, spans 250 acres and holds about 1880 male inmates, according to the most recent available statistics from the Alabama Department of Corrections [PDF]. The medium-security prison has faced staffing shortages in recent years; it currently employs 141 local residents—reaching just 35 percent of the desired staffing level. Meanwhile, operating at over 200 percent of its designated capacity, the facility is bursting with inmates. The Bibb facility has a 25-to-1 ratio of inmates to correctional officers, the worst ratio among Alabama’s state prisons. In July 2015, 16 inmates barricaded the door of a dormitory inside the Bibb County Correctional Facility, proceeding to trash the place and starting a small fire. Though that particular incident was deescalated without violence, correctional officers within Alabama’s prison system have reported that state-wide staffing deficiencies cause danger for guards and inmates alike. In October 2016, the federal Department of Justice launched an investigation into the state of Alabama’s men’s prisons, in response to reports of the sexual abuse of inmates by staff and other prisoners, excessive use of force by guards, and generally unsafe and unsanitary living conditions. 7. IT’S SURVIVED A LOT OF TORNADOES. Alabama, a part of “Dixie Alley,” averages about 47 tornadoes per year, with March, April, and May the most tornado-heavy months. Since 1950, nearly 100 tornadoes with a magnitude of 2 or higher have touched town in or near Bibb County. The most destructive of these hit the town of Brent on May 27, 1973, demolishing 90 percent of the town, including 127 homes. The tornado ripped up 12,000 acres of timber and picked up homes, dropping them yards from their foundations. Five people in Brent were killed, while over 50 were injured. 8. IN 2006, BIBB EXPERIENCED A RASH OF CHURCH ARSONS. Between midnight and 3 a.m. on February 3, 2006, Bibb County made national news when five Baptist churches were set ablaze; three burned to the ground, while two others were damaged. A few days later, four other churches in Pickens, Sumter and Greene counties were set on fire. Christians throughout the state worried their own sanctuaries might be next, and some even took to sleeping inside their churches to protect them. A month later, federal agents arrested three college students from upscale Birmingham suburbs as the perpetrators. Apparently, Benjamin N. Moseley, Matthew Lee Cloyd, and Russell L. DeBusk Jr. had been hunting deer and drinking when they started setting the fires “as a joke.” After public reaction to the first rash of fires, Moseley and Cloyd selected three other churches around the state to set aflame in hopes of confusing investigators. Convicted on both federal and state charges, Moseley and Cloud each spent a decade in prison, while DeBusk was released after about seven years. 9. IT'S HOME TO RARE LILIES. The Cahaba River National Wildlife Refuge, as well as part of the Talladega National Forest, are located in Bibb county. Established in 2002, the Cahaba River Refuge protects a number of endangered and threatened species of fish, snails, and mussels, like the goldline darter and the round rocksnail. The area also shelters the largest known population of the Hymenocallis coronaria flower—otherwise known as the Cahaba lily. This white spider lily, only present in a few Southern states, grows in shoal areas, where bulbs and seeds lodge in the crevices between rocks. It requires shallow, shift-moving water and lots of sunshine to thrive. Each May, during the flower’s blooming season, the town of West Blocton hosts the Cahaba Lily Festival. Festival-goers can see the lilies growing along the river, or rent canoes to row among the flowers.